This statue stands 10" tall and features intricate details expertly capturing Ryu's strength and power in every muscle, and fold of his gi. 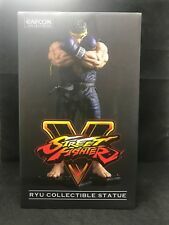 10" RYU Blue Variant Color. Color Blue Variant Color. Collectible Statue. Blue fighting clothes 1. Note: This set does not contain the body used for shooting. Head carving 1. List of B (blue). Please check out the detailed pictures to see the condition of the item or items I am selling in this listing. Please let me know if you have any questions about this listing. I'm a US seller based in California I ship out next day free shipping happy ebaying and be sure to check out my other amazing items in my store ! 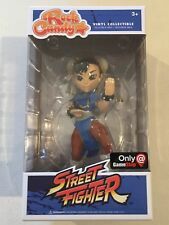 Street Fighter Action Figure Resaurus Round 2 Chun-Li Blue Version. Condition is New. Shipped with USPS Priority Mail. If the item is delayed or loss we will not be able to locate it. PCS did a amazing job with it. She is number 44 out of 100 made. Both heads have a glowing eye and they work perfectly fine and all her parts connect with no issues. Very well painted and sculpted, so if you are a Juri fan this statue is a must have. 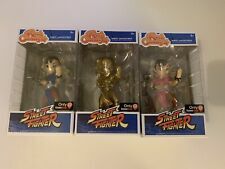 Up for sale is a complete set of Funko Rock Candy Game Stop exclusive Street Fighter Chun Li. They are the rare all Gold version, the 1 in 6 chase Pink version, and the Blue common version. All of the figures are brand new and still in their boxes. The figures you will be receiving are the figures in the pictures. Guile - Blue Variant. Would look Cool on your Desk or Shelf! What you see in the Photos is what you will Receive. Flag Tattoo Sticker 1. Normal version of the head carving 1. Angry face carving 1. Blue vest 1. Blue camouflage pants 1. Boots 1 double. Color:as picture. all products are original 100% authentic and never been used unless otherwise stated. Check the ingredients and consider your allergies. Condition New. We accept only unopened item. We do our best for you!! expedited worldwide EMS about 1 week yes. Blanka - Signature Move: Electric Thunder. Round 3. FIGHT! We add new products every week. This item is very clean and has been examined thoroughly. 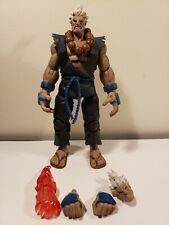 Includes: Complete figure with all accessories. Size: 6.25", 1:12 scale. Condition: Excellent quality with tight joints. 9/10 100% guaranteed to be received as listed. In good condition, may have a minor flaw. Zangief - Signature Move: Spinning Piledriver. Round 3. FIGHT! We add new products every week. The plastic clam shell is in excellent condition with minor scuff marks from storage. Sticker on lower left was removed. NYCC 2018 Blue battle dress exclusive. for the item has been received. 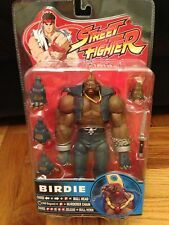 2004 SOTA Street Fighter Round 1 Sagat action figure. 7 inches tall. Mint in package, unopened. Clamshell blister package has a small split along edge of bubble. 1/20 Ratio. For Shoes: Due to nature of the material/product and the way the item was produced, we are not responsible for minor issue/paint chip/defective relatively small in size. 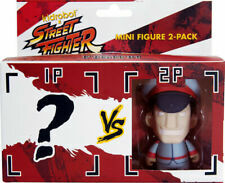 C2E2 Comic Expo Exclusive Nerd Block Color Variant Super 7 Street Fighter 2 Muscle 3-Pack. New Sealed. Packaging in great condition, minor wear. Pictures are part of the description. Thanks for looking. What you see photographed is exactly what you get. Blue Variant. This item is in Excellent Used Condition and Adult Collector Owned. Has normal handling / shelf-wear including scuffs and her. limbs being loose and is difficult to have stand up by itself. 2011, Kidrobot. Everything is in great condition, exactly as pictured. Chun-Li is the lineup the first step is to appear than the initial series. Based on the concept of "New fighting body", and both the wide range of motion and natural form, it can be reproduced in various deathblow! 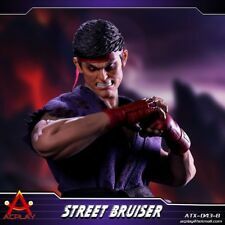 2004 SOTA Street Fighter Round 1 Ryu action figure. 6 inches tall. Mint in package, unopened. Clamshell blister package has a small split along bottom edge. Manufacture Info: Bandai 1993 China.